Hi, my name is Kait. You and I have met before; I’m a writer who kills. You’ve had me as a guest a couple of times in fact, but this is my first meeting, such as it is, as a regular blogger on Writers Who Kill. I can see y’all sipping down your coffee, and a couple of you, tasting something stronger. We don’t have those rules here. You can drink what you like, long as you know who you are and what you do. Heck, you could probably light up a smoke or two. Might even help the atmosphere. Ok, enough. I need to get down to it, I guess. I mean, you didn’t come here to listen to me wander all over the Southeast and points north. Fine. Here’s the skinny on me. I’ve been writing since I could hold a pen. Nice, simple, stories, you know the kind. The house with the door and four windows in the front, the mommy and daddy, the brother to go with me. One face in every window. The true American Dream. Car in the garage, rose bushes alongside the steps. Regular stuff. I liked it. I liked that other people liked it. I really liked that the teacher liked it, and I got high praise for my efforts. That’s when you want that family of four to look just like you, ‘cause if they don’t, there’s no place left for you to go. No place but down, and that’s where you’re going. By third grade, you stop drawing that family. Those teachers, they’re smart. They figure you know your own house enough now. They don’t need to know what really happens. But they teach you something better. Something way better than drawing circles for Mommy and Daddy faces. They teach you to write. And they teach you about fiction. Pretty soon, you’re bringing home gold stars on your papers. Your teachers praise your creativity. Your parents put them up on the refrigerator. You’re going to be a writer. For a while, you read every book you can get your hands on. Phyllis Whitney, Edgar Allan Poe, Louisa May Alcott. Everything. Nothing is immune from your reading need. You start to incorporate details from each of your heroes in your books. Suddenly, your teachers aren’t talking about classwork, they’re talking about careers. You and your career. You are a cut above. That’s rich. A cut above. If only they knew. It’s about this time that some teacher hands you the book that changes your life. Some old guy named Antoine de Saint-Exupery wrote something called The Little Prince. It’s a short book, you read it twice before dinner. It was there that I learned to judge by deeds not words. That words are the source of problems and to love something, it must be let go. That’s when I became a writer who killed. All of my prior stories were stories of my perception. I wrote what I saw. There was always a happy ever after. But after I learned that words were the source of all problems and deeds their resolution, well, I discovered that one must look deeper. Deeper than words. Some characters by their acts need killin’. And so, I’m a writer who kills. I look at the story world, and I listen to my characters, right and wrong, clear-eyed and self-deluded. Then I ask myself. How to help them write their own real stories? What about you? What’s your criteria for a bad guy? 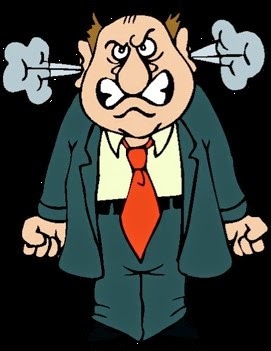 Bad through and through or merely someone who through twists and turns, maybe jealousy and envy, becomes irredeemable? Do you ever get to feeling like you should be living up to your email? I almost giggle when some psychics on the web predict something horrible is about to happen to me while other email psychics forecast that something wonderful is on the way. Make either prediction continually and eventually the prediction will come to pass. On the other hand I have been told that (insert name) knows my deep dark secret. I was sorely tempted to reply so I could find out what it was. Shouldn’t everyone have at least one deep dark secret? Said person also knows my arrest records. So do I. There are none. I might have been photographed at an anti-Viet Nam war rally when I was a college student, but that’s nothing special for someone my age. I haven’t been arrested yet. Then there are the supposed official institutions such as the United Nations, the FBI and international governments that want my attention. 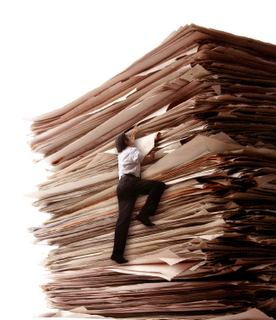 I’ve never been asked for input by any federal agency except for the IRS and Social Security. Who knows? Maybe I could contribute something useful. Sometimes in the movies they sent a helicopter to pick up someone with special knowledge. I am the world’s leading expert on… pretty much nothing. Never mind. Elizabeth just sent a note saying she has to have me in her life. Well, Lizzy, you lived your entire life to this point without me. I suppose you’ll have to make do with some other guy, inferior as he may be. And who are you anyway? Many times I have been advised that I have won or been awarded a ton of cash. My policy is to accept this as factual just as soon as an armored vehicle drops off bags full of greenbacks at my house. I do appreciate the FBI and other official agencies taking the time to assure me the messages are accurate. I’d like to tell them: Please just send the cash over and get back to tracking fugitives, spying and other official duties. I once got a message that a researcher had found out fascinating information about my family background based on my last name. Curiously the message did not mention my last name. It was as if the message was being sent to millions of people with various last names. Okay, you can bring the information over. Set it down over there alongside those barrels full of money. Sorry email. Surely you have people with more exciting lives than mine. Growing up with four siblings – five after I got married – as well as living near cousins. You would think there wasn’t much time for being alone. But I lived in the country next to my grandparents’ farm in a time of no cell phones and no TV until I reached my teens. Although I spent a lot of time with the brother closest to me in age and various cousins who lived near, much of it spent on the farm, I still had alone times; times I cherished. I was a reader and often curled up in a chair reading alone in a room. Sometimes in the summer, I’d climb an old hollow willow tree beside my grandparents’ house and in the crook of that tree, I’d read out of sight of everyone. As a teenager, my group of friends and cousins were often together. We played softball, kick the can and other games. My girlfriends and I formed a group called “The Crazy Teens.” Not that we were crazy by today’s standards. But I also took solitary walks through the fields resting on a log at the top of a rise in a boundary line of trees. There as a teen, I wrote poetry. Or in my room I wrote short stories. One of my gardens where I work in solitude. Today people live in a busy connected world; a world of cell phones with people constantly talking to others or texting or tweeting. How often in a store have you turned thinking someone was talking to you when they were on the phones or even more the person walking around seeming to talk to themselves when they have a blue tube in their ear? And if we’re not talking on our phones, we’re emailing others or checking Facebook. Those who work with others are even more connected with little alone time. I am a social creature. Most of us are. I easily chat with people I don’t know in line at the grocery store. I’m interested in people. 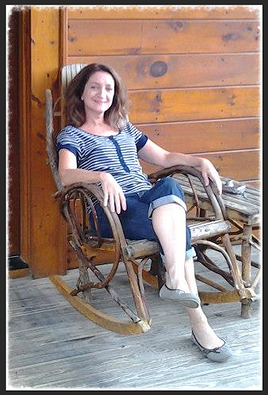 I enjoy getting together with others at my book clubs or writers groups. I like my Mobile Meals people; both the other volunteers and the people I deliver to. Sunday Mass is special to me; sitting with people I know, the music, the rituals that I’m comfortable with as well as the sermons and scripture readings. I enjoy when my siblings and I get together for a meal, maybe a DVD and always the laughter and talking. I enjoy my children and grandchildren, and reconnecting with old friends. That’s why my siblings laughed when in a previous blog I mentioned that I’m a bit of an introvert. However, the times I’m most at peace and content are when I’m alone. I like my quiet morning walks in the woods in mostly silence except for the sounds of birds, the rustling of leaves by my feet in the autumn, the occasional bark of my collie when she’s treed a squirrel, the sound of traffic in a distance with no horns honking on my country road, but only a soft swish coming and going like the sound of waves on a shore. Today solitude is becoming rare and appreciated by only a few. 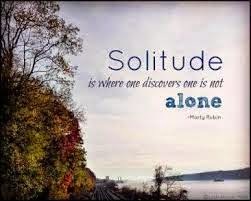 Many people equate solitude with loneliness. They think those who embrace solitude are sad, depressed or antisocial. Alone has a negative connotation for many. Society sometimes scoffs at the loner, but, in fact, solitude can be healthy both physically and psychologically. It’s important to our well-being. 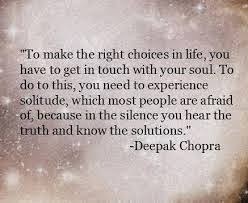 Being able to enjoy and appreciate solitude is an important skill to possess. Studies have shown that periods of solitude are strongly beneficial to personal development. Author Susan Cain found that people working alone often tend to achieve better results than those in groups because original ideas get lost in groups. Researcher Bethany Burum of Harvard also found that simply being around other people causes our minds to become preoccupied with their thoughts as we wonder about what they think of us, etc. She also found that those in her study tended to have stronger and clearer memories when alone than those with other people in the room. Other things discovered in her study found that cognitive and emotional processes benefited from solitude, too. People, who had more solitude time, showed more empathy for others. It is also important for finding one’s self when everyone else is gone. The most successful painters, musicians and writers often find or found their inspiration through solitude. That’s why I can’t understand those who find their best writing is done in cafés on a laptop surrounded by people and noise. It must work for them, but I need silence. I turn off the radio after the morning news and work and write in silence. I know I’m luckier than most because I have that option. I’m retired and except for assorted critters, I live alone so I’m blessed with the solitude I need to write. Does it make me a great writer? Smile here. No, but it makes me better than what I would be if I had to work around people. In fact, when I’ve been in a writing class or a workshop where the participants are given a prompt to write to with other people around me, I freeze up. I’m lucky to come up with one pathetic paragraph when the time is up. It only makes it worse hearing and seeing other people scribbling away putting lots of words down. Do you treasure your times of solitude? Are you able to concentrate and work well with others around you? 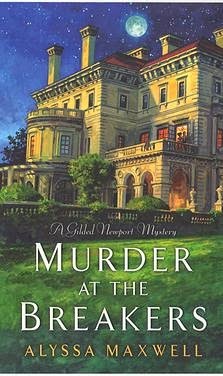 Alyssa Maxwell writes the historic Gilded Newport mystery series, set in the Newport, Rhode Island during the end of the gilded era, approximately 1880 to 1920. This time and place presents enormous opportunity for highlighting women’s issues. 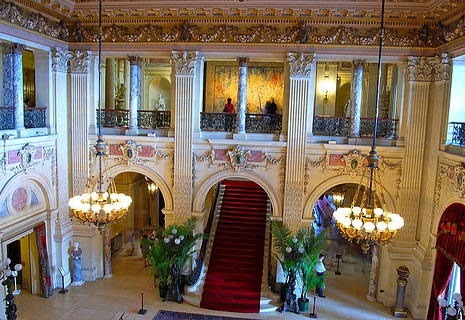 Murder at the Breakers, the first of the series, is set in 1895. Murder at Marble House, the second book, occurs a few days later. The Breakers and Marble House were mansions owned by two branches of the Vanderbilt family in Newport. Kensington Publishing will release the third book, Murder at Beechwood, on May 26th, 2015. Main character, Emmaline Cross, is a poor relation of the Vanderbilts. Poor, though, is a relative term. Emmaline is an independent woman due an inheritance from an aunt. That inheritance places her in the cross wire of society. She is not wealthy, but she has access to the wealthy due to her family connections. She solves murders that occur at the mansions all the while struggling to become a professional journalist, grappling with losing her independence if she marries, and increasing her income to support her causes, mainly women who are in crises. I knew most of the history, but as I read the books, they reminded me of the horrors of the gilded era and the paradox of an extreme society. Queen Victoria wielded so much power when other women in the same era had so little. Hello and thank you so much for having me! What attracted you to this place and time? It was the place that attracted me first. I’m married to a “native Newporter” whose family has been there for generations. Through him, I not only saw the “glitter” and excitement of Newport, but learned a bit about what makes Newporters tick, and what makes this such a special place to live whether you’re wealthy or not. I also loved the island setting, and the fact that during the Gilded Age (actually right up until the 60s when the Newport Bridge was built), Newport was cut off from the mainland except by boat or a single railroad heading north, creating somewhat of an isolated environment very much at the mercy of the elements. 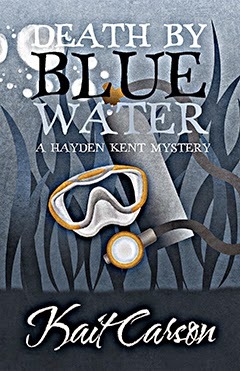 In addition, it’s a small town environment where everyone knows everyone else and their business, and to me, both qualities are very much in keeping with the structure of the cozy mystery. Having decided on Newport as a setting, I then thought about what time periods Newport is most famous for, as well as which would provide the most fodder for mystery and mayhem. Ruthless robber barons, fierce society matrons, heiresses being used as social and political pawns, not to mention fashions from the House of Worth for which I have a serious weakness (I can spend hours just pouring through the Metropolitan Museum’s online collection), and then pitting all of this against the backdrop of Newport’s very stoic, steadfast, and very New England working class society of those days – all this made choosing the Gilded Age a no-brainer. The descriptions you write of the houses make them seem like palaces. 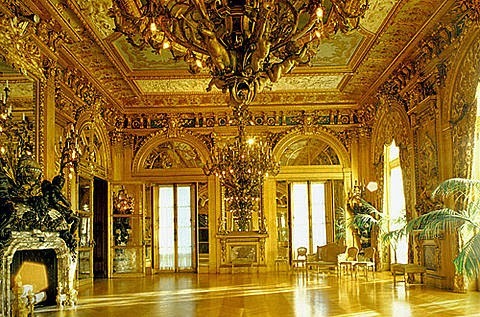 There is a real reason for the term “gilded” that refers to gold, not only wealth but also due to the use of gold in the finishing treatments of these houses. Are any of them still in existence? Are they still owned by the Vanderbilts? Most of the Gilded Age mansions in Newport still exist. Some are still owned privately – and they post signs saying as much at their gates to prevent tourists from knocking on their doors. But houses like The Breakers, Marble House, Chateau Sur Mer, The Elms, Rosecliff, and Rough Point, to name a few, are owned either by the Preservation Society of Newport or the Restoration Foundation. Recently, both Beechwood (The Astor estate featured in book 3) and Belcourt (owned by Oliver Belmont and Alva Vanderbilt after they married) became privately owned, but I understand the plans for both are to restore them to their Gilded Age condition and open them as museums once again. Ochre Court, once owned by banker and real estate magnate Ogden Goelet, is now part of Salve Regina University. Emmaline’s situation epitomizes many heartbreaks of the era. How did you create her character and her personality? Is the character based on anyone real? Some of my inspiration for Emma came from Nellie Bly, a Gilded Age journalist who very bravely fought for her right to report on “hard news,” rather than the society fluff thought more appropriate for women writers of the time. Nellie broke new ground for women journalists, especially when she had herself committed to an insane asylum in NYC in order to expose the horrible conditions there, and again in 1889 when she became the first woman to travel alone around the world, beating the fictional Phileas Fogg’s trip in Around the World in Eighty Days. But in my mind, Emma isn’t strictly a feminist because she isn’t political. Rather, she is an individual who believes very strongly in personal responsibility, both in her private affairs and in her ability to affect change in the world. When something needs doing, she does it without stopping to ask whether she ought to become involved or not. The inspiration for this comes directly from my wonderful mother-in-law who was always ready to lend a hand, whether it was running the soup kitchen at her church, helping neighbors, making a disabled coworker’s day a little easier, etc. Although newspaper owner and journalist Derrick Andrews saves Emmaline from harm on occasion, she also saves men’s and women’s lives, which eliminates her from being cast as a damsel in distress. Was this fine line hard to depict? Actually, not really. I always look at Emma as an individual first and foremost, and then as a woman. Yes, this may be a modern perspective on my part, but I maintain that there have always been women throughout history who were unafraid to utilize their intelligence and emotional strength to assert themselves. Again, Emma’s sense of personal responsibility doesn’t allow her to accept the role of victim. Instead, she views all adversity in terms of possible resolutions – she just has to find the right one. Having said that, I do make sure to keep her aware of society’s limitations on women. 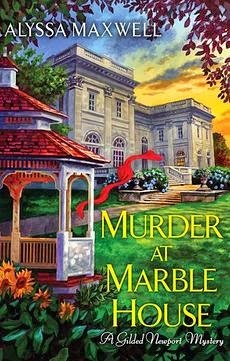 When she breaks proper decorum, she does so fully aware of the possible repercussions, and, for example, when she investigates dockside pubs in Murder at Marble House, she’s sensible enough to bring Derrick along with her. Even though Alva Vanderbilt (William K.) Belmont eventually became a leader in the women’s rights movement, the competition between Alva and Alice Vanderbilt (Cornelius) seems petty, as if they were two spoiled brats. Why did women in the upper classes disservice themselves with displaying this behavior? I have a theory about that. From the reading I’ve done, I don’t believe these women were stupid or even naturally petty. But more than anyone else in their time, they were narrowly restricted in their actions, despite their enormous wealth. Imagine an intelligent, ambitious individual being relegated to planning parties and marrying off their offspring to the best available prospect. Imagine your primary function in life being to showcase your husband’s power and wealth. I can see how it would easily become a competition among these women, who had no other outlet for their talents, and who were raised to believe they would never be able to contribute anything of true substance to society. I think Alva demonstrates this perfectly. Before her divorce from William Vanderbilt, her life was defined by the Gilded Age ideal of womanhood, and in her mind the natural pinnacle of this ideal was to become THE Mrs. Vanderbilt, i.e., the grand dame of one of America’s most powerful families. Unfortunately, her sister-in-law Alice, wife of Cornelius, had already claimed that honor. It must have driven the very ambitious Alva crazy. How to get even? By marrying her daughter, Consuelo, into English nobility. Yet defying society with her divorce seemed to have had a liberating effect on Alva. Little by little she turned away from the old restrictions and began redefining her role in society, so much so that Marble House, once built for petty, self-serving reasons, became a launching pad for the women’s suffrage movement. In Murder at Marble House, Alva is forcing her daughter to marry a poor, British duke, which is based on the true story of Consuelo Vanderbilt. Money has always defined societal rank and yet for Americans, who came to this country to escape the restrictions of the monarchy and class society, it seems incongruent that the values of the time seem dominated by British class distinctions even when some of the British had little money. Why were Americans so enamored with British society? Aren’t we still? Don’t we rush to the TV to see the latest news on Will and Kate? It could have to do with those fairytales we read as children. But make no mistake. American Gilded Age society was as – or even more – class conscience as the British. I can only guess at the reasons, but I do think it’s natural for humans to divide themselves into groups – us and them – in order to establish boundaries and a sense of belonging. And safety. It’s as if the wealthy circled the wagons to protect their interests, and if that left the vast majority out in the cold, well...it couldn’t be helped. Still, no matter how rich and powerful those few Americans became, there remained a distinction between new and old money, the latter being preferred I suppose because it implied permanence rather than a flash in the pan. Who better personified “old money” than the Europeans with their titles and landed estates? True, many of them had lost the bulk of their fortunes by the 1890s, but they hadn’t lost their prestige or their privileged place in society. With nothing material left to gain, Americans set their sights on European nobility for that last bit of validation that they were not only America’s elite, but the world’s. Did you have trepidation writing fictional accounts of real life characters? Have Vanderbilt family members read your books and contacted you? Funny, but I had more trepidation about Newporters reading my books. It was so important to me to portray Newport realistically and in a way that made locals proud of their home and of these books. My biggest fear was that I’d get emails to the contrary, but happily that hasn’t happened. In fact, I’ve made some wonderful contacts with readers from the area who have expressed their support and their enjoyment of the stories. A couple have even sent me Newport-related gifts, which I treasure. I haven’t heard from any Vanderbilt family members so far, but it was also important to me to portray their ancestors fairly, and as whole, well-rounded individuals. As I did my research, I actually came to like Alice, Cornelius, and the rest – especially their son, Neily – and I feel about them as Emma does. I see their good and not-so-good qualities but I’ve grown genuinely fond of them. The most surprising thing I learned about them was how much like the rest of us they were. Hope, fear, love, pride, uncertainty, determination – they shared these qualities with the rest of the human race. Emmaline faces sexual discrimination at work. Is her boss just a sexist blockhead? No, I don’t see him that way at all! Ed Billings, her coworker and rival reporter, most certainly is a blockhead, but Mr. Millford is simply a man of his time. I feel his behavior is more paternal than anything else, and his reluctance to allow Emma to report on hard news is his attempt to protect her from harm and preserve her womanly reputation. I’m sure that sounds sexist to the modern ear, but in 1895 it would have been the norm, and no gentleman would willingly send a young woman like Emma into indelicate situations. Do you see any similarities between the gilded-age economy and today’s economy? All I’m going to say to that is history has a tendency to repeat itself, especially when we as a society don’t learn from our mistakes. 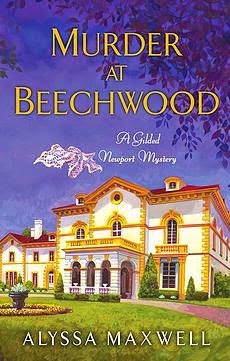 What’s next for Emmaline Cross in Murder at Beechwood? Emma will find a shocking delivery on her doorstep – a baby. That same night, an unidentified man is murdered along Ocean Avenue near her home. This, combined with a scrap of expensive lace tucked into the baby’s blanket, sends Emma to Mrs. Astor’s estate, Beechwood, ostensibly to report on the woman’s Season-opening events, but actually hoping to find clues into the baby’s origins. She does find clues, but they are complicated by yet another death and accusations that Derrick Andrews might be to blame. What follows involves the twisted relations between two illustrious families and the testing of Emma’s faith in human nature. Are you a beach or mountain gal, Alyssa? Both! I love both equally! Surely I don’t have to choose? Both dazzle and inspire me, put me into an utterly relaxed state, and just make me happy! Warren wrote the above as a blog post comment, and I’ve been thinking about it ever since. Is it really possible for characters to grow so large that their creator tries to kill them off? I understand that an author might sacrifice a minor character in order for the main character to change. For instance, a secondary character could die while heroically saving someone’s life thus spurring the main character or the story to change. But why would an author kill off a main character? It seems that there are a number of reasons. Sir Arthur Conan Doyle attempted to kill off Sherlock Holmes by having him tumble over the Reichenbach Falls. Why? Well, Conan Doyle saw himself as a historical novelist and thought that Holmes kept him from better things. Resentful of his character, he tried to scare off The Strand Magazine from requesting more stories by demanding increasingly outrageous rates. They agreed to pay his price and eventually Conan Doyle felt that he had no choice but to kill off the detective. Sherlock Holmes fans protested his death so vehemently, even wearing black arm bands in mourning, that Holmes was “resurrected” in a later story. Readers in the 1800s saw something special about this larger than life character that many of us see today. 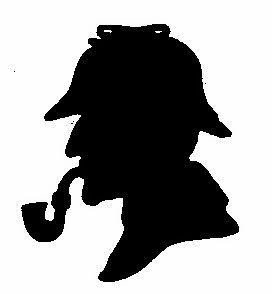 I predict that Holmes will still be around, in one form or another, in the next century. Some authors are ready to eliminate an important character, but decide against it. Tess Gerritsen admitted that she was prepared to kill off Jane Rizzoli in The Surgeon during a climactic scene in a cellar. Gerritsen wrote, “But as I was about to perform the coup de gras on her … something stopped me. You know what it was? She’d grown on me. She had so much heart, she’d faced so many struggles, that to end her life there struck me as appallingly unfair. So I let her live.” At the time Jane Rizzoli was a secondary character. I’m glad that Gerritsen let her live and become a main character. Can you imagine Isles without Rizzoli? J.K. Rowling almost pulled the plug on Ron Weasley. Originally she planned for none of the kids to be killed. But midway through the series she almost offed him “out of sheer spite” because she “wasn’t in a very happy place.” Fans were relieved for many reasons but mainly because Ron was Hermione’s true love. What are the consequences for eliminating a well-liked main character? Author Karin Slaughter received hate mail when she killed off a main character, Jeffrey, in Beyond Reach. In an interview with Lee Child she said that killing off Jeffrey was difficult but the best thing for the series because there wasn’t anything new or interesting to say about him. However, angry readers didn’t agree with her decision. They wrote that she hated men, hoped she never sold another book, and that she should die. How do authors cushion the blow for readers when killing a main character…and avoid hate mail? Tess Gerritsen says that she gives the reader time to grieve by not abruptly ending the book but lengthening it by a few chapters. She believes this allows the readers time with the remaining characters to see how their lives change for the better. Has an author killed off one of your favorite characters? Right now, I’m in the middle of a book. Actually, I’m usually in the middle of writing a book or about to finish a book or about to begin a book. It’s the cycle of life for writers, especially novelists. The middle of the book, though, is the hardest because it’s where it all begins to break down or bog down or seems to. I know of very few writers who haven’t faced despair, or at least mild depression, somewhere in the middle of the book. That brilliant idea that sent me excitedly to the keyboard to start this journey of words seems further away from actuality than ever. It’s very hard work to try to get it on paper and make the reality the reader will find on the page match up to the beauty of the idea in my head—and of course, none of us ever quite manage it. That’s part of the reason why we keep trying. Right now, though, I’m struggling as I try not to drown or suffocate in all the thousands of words I’ve typed and continue to type, which seem more and more shabby and mundane—and very far from that shining thing in my head that I’m trying to make real on the page. I’m tired and overwhelmed. And I just want someone to come take this magnificent idea and make the book for me. Isn’t it enough coming up with such a grand concept? For a moment, I revert to the childlike person who approaches writers so often to say, “I’ve got a great idea! You can take it and write it up into a book, and we’ll split the profits.” We writers shudder when such people come around, not wanting to insult them with the truth—“You want me to do all the work and share my money with you?”—or—“Buddy, getting the idea’s the easy, fun part.” But at this stage of the book, I have brief stressed moments of the same kind of magical thinking. I turn to some of my favorite writers at times like this. 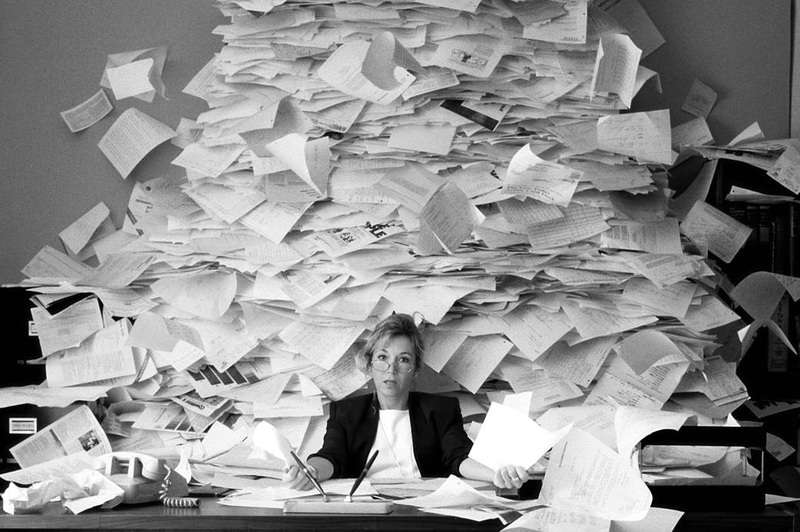 I go back to the mess of a manuscript because that shining, brilliant edifice in my head will never become real to anyone else if I don’t slog through the swamp of the middle and get it down on paper. And I hope that some little sliver of its real gorgeous beauty somehow ends up sparkling on the pages of the finished book. Never enough of it, of course, because that’s the impossible dream that all we writers chase, but some small gleaming piece. What Makes E.B. Davis a Great Interviewer? So, What's New, Edgar Allan Poe?